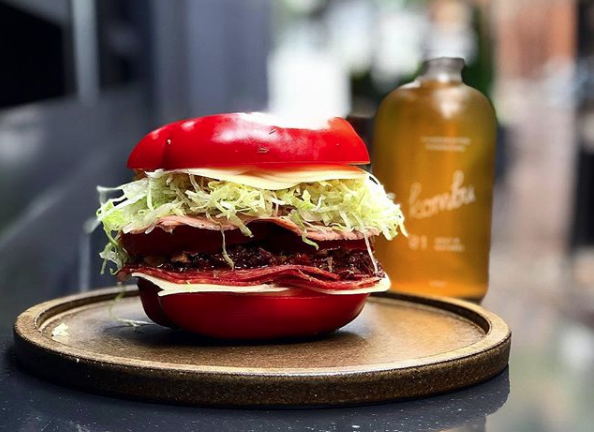 Known for serving some of Sydney’s best sandwiches – the famed muffaletta and his salad sandwich on potato bread – you’d be forgiven for thinking for a split second that he was onto something. Gelato Messina made an announcement video for its new back-to-basics approach, ditching its industrial vats for “spoons and bowls”. This would means scaling back productions of its top-selling white chocolate and salted caramel flavour from roughly 15,000 scoops per week to just 10 or 15 – “just like Noona used to make”. Some people were fooled, commenting that this would mean a raise in prices, but really you shoud’ve known when the video was presented by Australian actor Alex Blias as the “chief micro manager at Gelato Messina”. Ice creamery chain Cold Rock also announced its fake new flavour: blue cheese. Unfortunately, yes, it was a joke. But let’s hope they’ll whip up a batch one day. 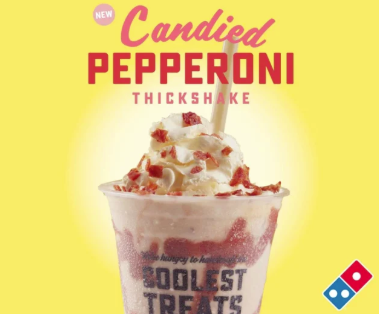 Domino’s Pizza used the date to introduce a fake new product they called a Candied Pepperoni Thickshake. The company said the new shake, inspired by its most popular pizza flavour, combined candied pepperoni pieces sprinkled on top of vanilla ice cream, with an added swirl of sweet pepperoni syrup. Domino’s joked that the shake was a perfect treat for sweet-tooth meat lovers and promised to give away 1000 of the sweet treats this week. McDonald’s also introduced its new McPickle burger, free of beef patities, which they described as “juicy, flavoursome pickles layered between melted cheese, ketchup sauce and toasted sesame seed buns”.